Set up your mCard in minutes! Select and customize a design. Upload your logo or photo. Publish and view your mCard! 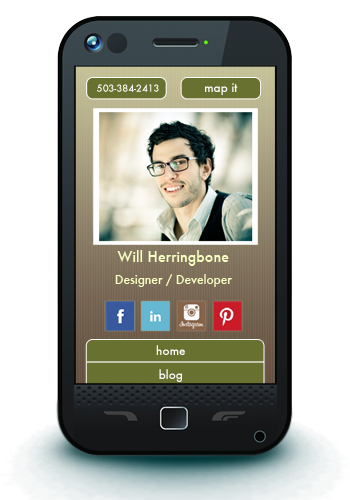 The mCard is a mobile business card that centralizes your contact information, social networks, and professional web presence in an elegant and accessible mobile website. It’s easy to set up and easy to use. You’ll wonder why you ever filled your pockets with paper business cards. Upgrade your introduction today.